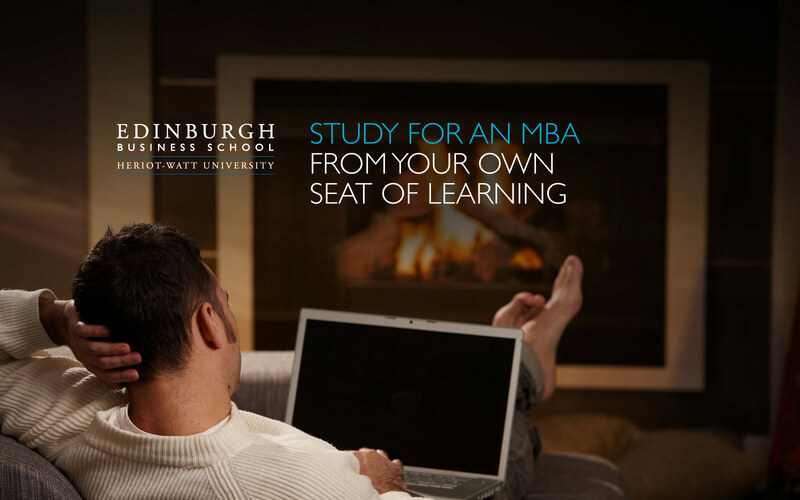 Edinburgh Business School (EBS) are one of the world’s leading business and management schools with students studying remotely in 160 countries. They understand the importance of the online study experience. With this in mind, they approached Elastic to plan and design the user experience for the central courses website which delivers 40 different MBA courses in multiple languages. 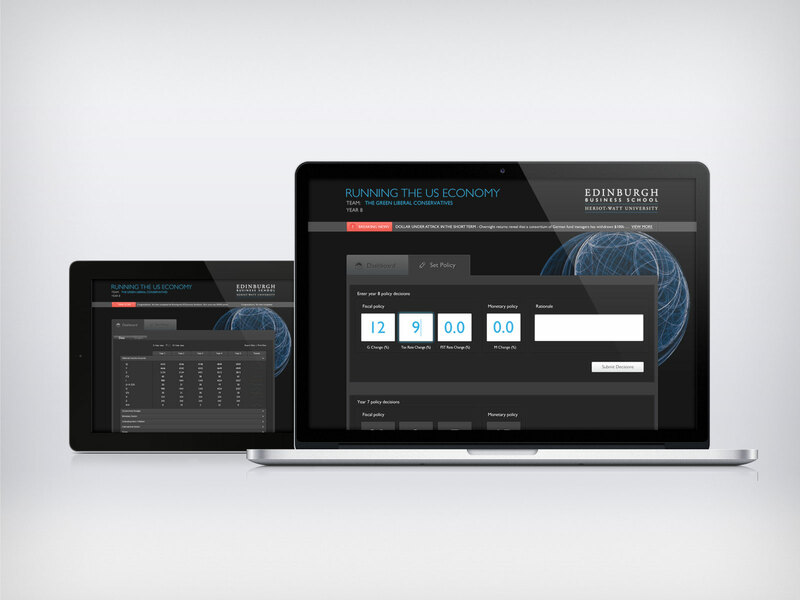 The project included the design of a new online user interface for EBS’s innovative simulation tool, which allows students to very effectively put theory into practice and try their hand at running the economy. Simple, intelligent, on and offline advertising invites students from all corners of the globe. 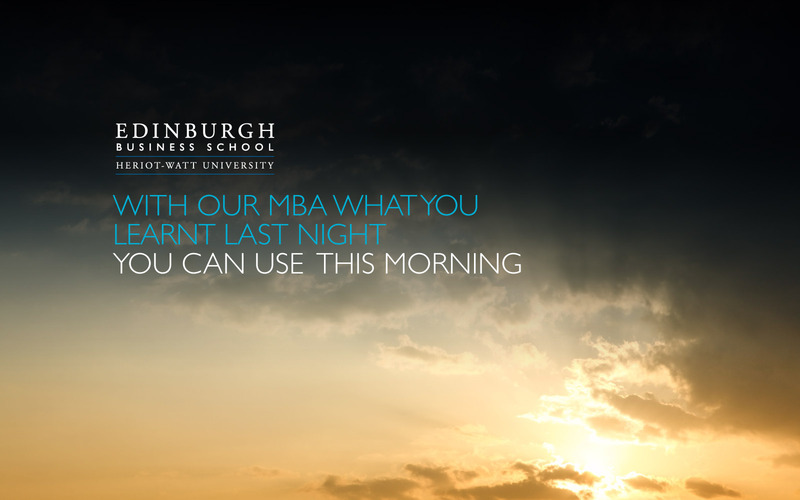 The Edinburgh Business School (EBS) is one of the worlds largest providers of online MBAs. Their internationally recognised, flexible courses are translated into five languages. This helps the material to fit around the needs of students that study remotely with EBS from all over the globe. EBS consistently monitor the effectiveness of their online course materials, allowing them to see areas of the courses where students struggle, which can create bottlenecks. 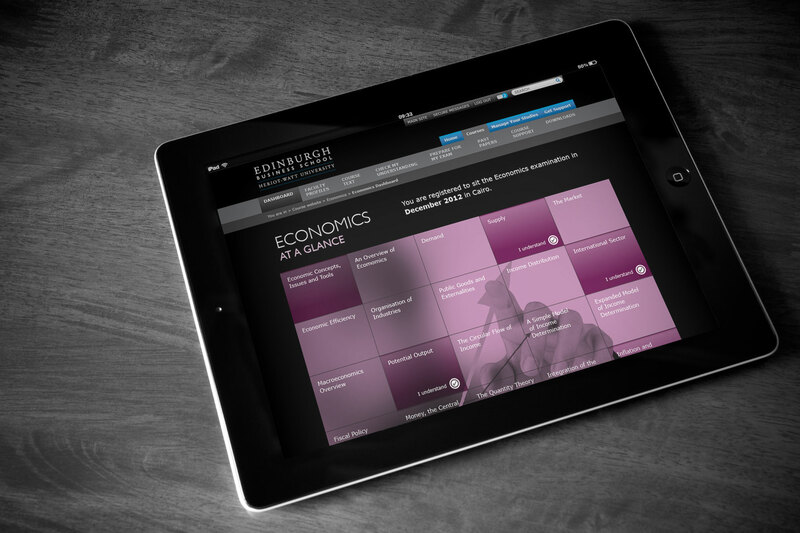 As a result of this research, EBS decided that a visual, e-learning approach which puts the topic into a ‘real life’ context was required to ease potential bottlenecks and help the students grasp the subject matter. In 2013, EBS approached Elastic with a prototype for some educational videos that we wanted to produce for our distance-learning MBA students. 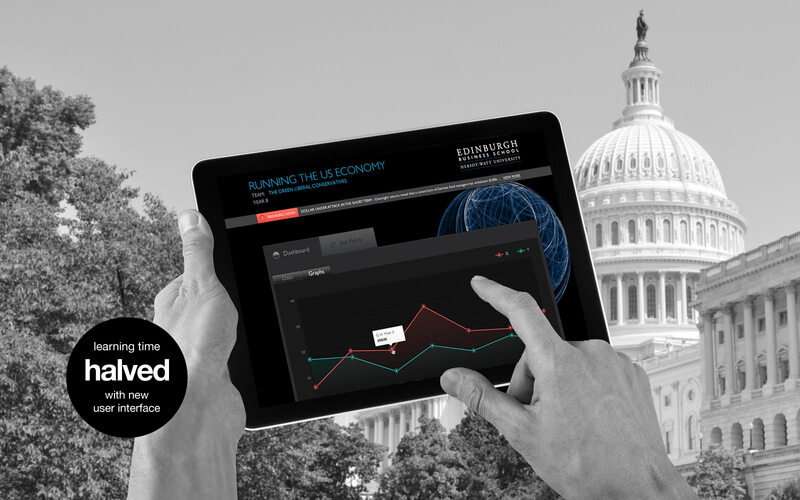 The first task for Elastic was to work on the design styling of the main courses website to create a unified, visually rich and engaging experience for the EBS international students. With the design styling in place, we were asked to take that styling and create a prototype animated video. After EBS trialled our prototype animated video, the feedback from students was overwhelmingly positive. We were then asked to create a series of videos for each of the courses and modules. As well as creating visually rich videos, our approach was based on an animation style that allowed us to easily reuse and develop new assets for subsequent videos. This means that in future, both Elastic and EBS can react to student requirements, and create videos based on new material in an efficient and cost effective way. The response to the videos has led to the creation over 30 videos so far, with new videos in the pipeline.